The traditional concept in the landscape of work is that the job you currently have is a permanent fix. But with robots and artificial intelligence forecast to replace humans in many job fields, it is increasingly becoming a bygone notion. Frederick Hill, the incoming head of Chadwick International, a US-based international school in South Korea, says today’s students must be prepared for what the future holds and schools have a tremendous role to play in it. “Your parents might have started out working for Samsung their whole life, or IBM in the United States, but that doesn’t happen anymore. You’re going to change professions more than five times in your lifetime,” Hill said in an interview with The Korea Herald in the school’s campus in Songdo, west of Seoul. To prepare students for the future of work, schools must evolve and become a place where students feel stimulated and excited about learning new things, and “keep their mind open to explore whatever passions they have,” he said. The main focus of education, therefore, should be on “educating students to constantly adapt to changing demands,” rather than a conventional rote-learning system. “The role of schools is to provide knowledge that could be responsive to the changing work environment and offer tools to help discover students’ true passions,” Hill stressed. Of course, it’s easier said than done. Schools in many places are failing to prepare students for just after graduation. “Unfortunately, the biggest age group of unemployment in the United States is a group that just got out of college. It’s an international problem and it will be similar here too,” the US educator said. Fundamentally, he believes education is to help students discover their true passions. “My belief is that if people follow what they’re really interested in and excited about, they will be very successful in that area and things will open up doors, even as some doors are closing fast,” he said. Chadwick International is the sister campus of Chadwick School, a K-12 school in the US founded by Margaret Lee Chadwick in 1935. The two share the same mission of nurturing global talents with self-knowledge and the ability to lead in various professions. The curricula differ. The American school runs an American curriculum and Advanced Placement courses, whereas the international school is based on International Baccalaureate. 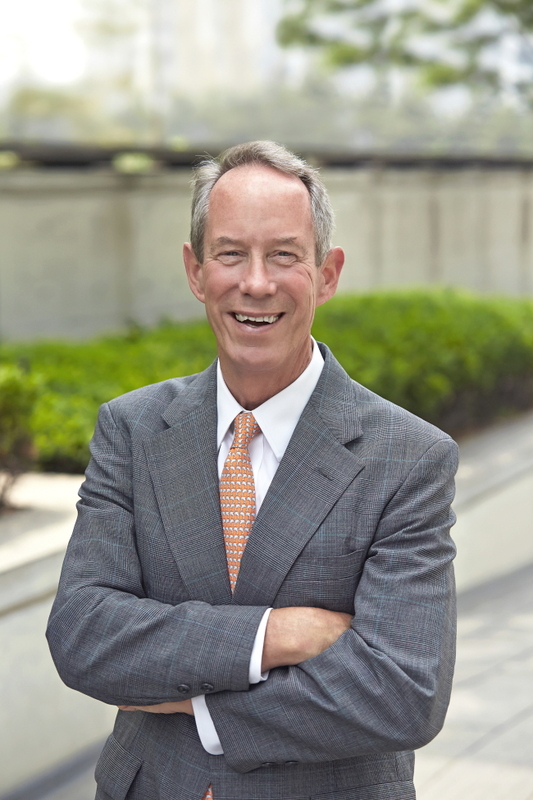 As president of the Roessler-Chadwick Foundation, Hill has dedicated himself to increasing Chadwick’s global focus, playing a key role in establishing its second school in 2010 in South Korea’s Songdo. Now, one of the largest international schools in South Korea with over 1,100 students, Chadwick International recently appointed him to lead the school as head of school, beginning in July next year. His appointment is part of the school’s strategic efforts to reinforce its presence as a leading international school in the country and enhance its leadership in the global education sector, according to the school. “We are very aware of the fact that education is such a top priority in South Korea. So, it’s a great environment to have a world-class, innovative and forward-looking school here,” Hill said. Training teachers for international education in East Asia is part of Chadwick’s mission too, he explained. Through recruiting and supporting dedicated and diverse faculty members from around the world, the school can have an impact on students even if there isn’t another Chadwick school. Hill also stressed the importance of diversity within the school environment. There’s a lot to be learned from people who are in different socioeconomic situations, he said. “I frankly think it would be dangerous for students to only be surrounded by students who are in the same socioeconomic situation as they are,” he said. When questioned as to whether Chadwick was planning to open another school in South Korea or in Asia, Hill said they have received several offers to do so. “Since we’ve been really successful here, we also have been presented with a number of opportunities and we are just exploring them. But it took us 75 years to found the second school, so we are not in a great hurry.” Hill said. “We’re very happy with the two campuses that we have. If we were to open the third one, we would have to be sure it could contribute to the success of the two we already have. We are being very thoughtful about it,” he said.